Archbishop of Thessalonica, was a monk of Mount Athos in Greece, and later became Archbishop of Thessalonica. He was a preeminent theologian and a proponent of hesychastic theology. Orthodox Church celebrate his feast days in the November 14 and the second Sunday of Great Lent as the Sunday of St. Gregory Palamas. Canonized in 1368 by Patriarch Philotheos of Constantinople. 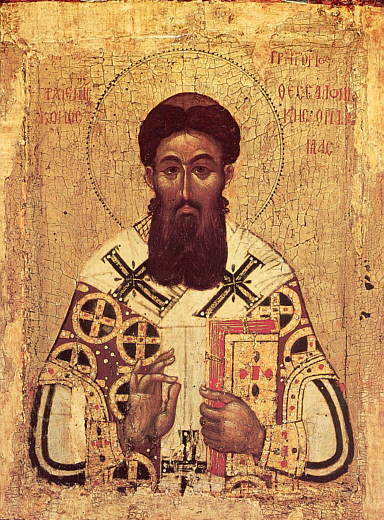 And today we remember the name of Saint Gregory Palamas, one of the great Saints of Orthodoxy, who against heresy and doubt, proclaimed, from within the experience of the ascetics and of all believers, proclaimed that the grace of God is not a created Gift — it is God Himself, communicating Himself to us so that we are pervaded by His presence, that we gradually, if we only receive Him, open ourselves to Him, become transparent or at least translucent to His light, that we become incipiently and ever increasingly partakers of the Divine nature. This is not simply a promise; this is a certainty which we have because this has happened to thousands and thousands of those men and women whom we venerate as the Saints of God: they have become partakers of the Divine nature, they are to us a revelation and certainty of what we are called to be and become. St Gregory Palamas: Have You Been Made an Instrument of the Holy Spirit's Power? Fr. John Meyendorff. 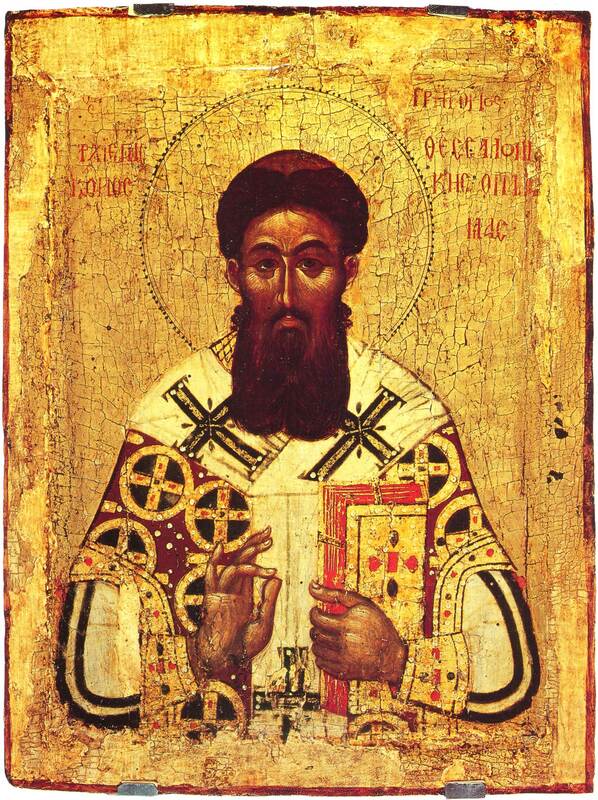 St. Gregory Palamas and Orthodox Spirituality. St Vladimir's Seminary Press, 1974. ISBN 0913836117. Homilies of Saint Gregory Palamas, Vol. 1. ISBN 187899767. Homilies of Saint Gregory Palamas, Vol. 2. ISBN 187899768. Gregory Palamas. The Triads, (Classics of Western Spirituality Series), ISBN 0-8091-2447-5. Saint Gregory Palamas: The Homilies, (The Complete Homilies Translated into English — Published in 2009), ISBN 0977498344.